This works best with thick spaghetti, and really benefits from ricotta salata, but if you can only find parmesan, just use that instead, as you shrug phlegmatically in a Sicilian kind of way, muttering “pazienza”. Put a large pan of salted water on to boil. 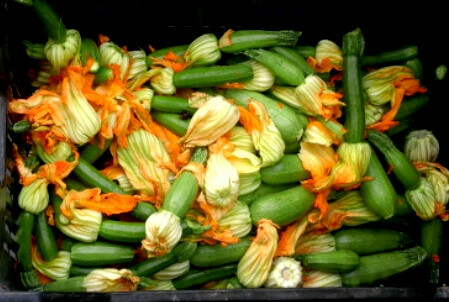 Remove the courgette flowers and set aside. Top and tail the courgettes and slice into quarters lengthways (into sixths or eighths if they’re bigger). Once the water is boiling, add the pasta, the courgettes and the flowers. 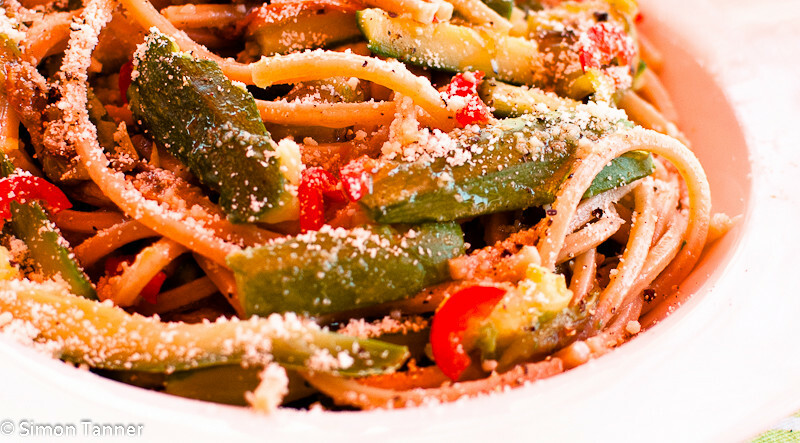 Cook until the pasta is al dente, drain the pasta and courgettes and return to the pan. Gently mix in the basil and mint and a good drizzle of olive oil. Check seasoning and serve. Scatter over some fresh red chilli and/or ricotta salata if the mood takes you. Any white, lightly aromatic wine will work with this. This entry was posted in Pasta, Recipes, Vegetables & side dishes and tagged courgettes, pasta, vegetable by hungryenglishman. Bookmark the permalink.